France’s second City is a wonderful destination to visit. This post outlines the best areas to stay in Lyon, and potential hotels and accommodation to make your trip to Lyon fabulous. We have spent quite a bit of time in France exploring and visiting friends and family. We visited Lyon City, France mid Summer and were surprised by what a great city it is to visit. We were drawn to France’s second city by its culinary reputation – and we weren’t disappointed. Bordered by two rivers, Lyon is a charming city with amazing architecture both modern and ancient, a UNESCO World Heritage protected old town, fantastic museums and great food. Lyon was founded by the Romans, and in the 17th and 18th Century the Croix-Rousse silk weavers provided silk to Royal Courts throughout Europe. If Lyon is not on your list of places to visit in France, a holiday in Lyon should be added! Lyon is a fabulous mix of the traditional and contemporary, you can be wandering around the traboules one moment and then taking in the contemporary architecture from the Rhône and Saône rivers. Of course, there are some many restaurants in Lyon to try. Lyon is located in the centre of France and can get very hot, humid summers and cold winters. We can vouch for the hot summers with days of very sunny, hot, mid 30c weather. There are so many things to do in Lyon. Regardless of how much time you have a great place to start is the Lyon Tourism Office in Place Bellecour, pick up a Lyon Travel Guide and a Lyon City Card. Grab a Lyon City Guide and decide what to see in Lyon. Finding a place to stay in Lyon, amongst the many places to stay, will set you up for a fabulous stay. There are many Lyon hotels to choose from it can be a bit overwhelming, and your options for varied for accommodation. The cost of hotels in Lyon, like other large French cities, is high. Finding nice apartments in Lyon, France is also another good option. 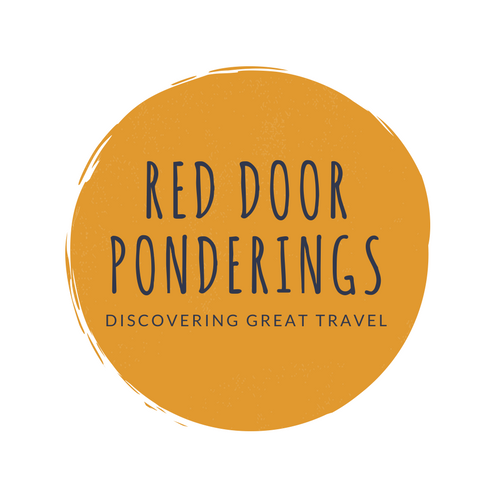 Depending on where you stay in Lyon, you may be able to find budget-friendly options too – look at our Lyon accommodation recommendations of La Croix-Rousse and La Part-Dieu. La Croix-Rousse is located between the Saône and Rhône Rivers and is on the opposite hill to Vieux Lyon and Fourvière. Traditionally known as the silk weaving area, there are still remnants of this industry throughout La Croix-Rousse. A short walk into the Lyon City centre, La Croix-Rousse is well serviced by the Metro, including the Funicular. While this area is primarily residential there is plenty of appeal in its bistros, markets, winding streets and small shops. A great place to stay to experience suburban French life, explore local markets and squares and eat might fine food at local Bouchon. Located in the 5th arrondissement, this is really the historic heart of Lyon, the Lyon Old Town. Fourvière was chosen by the Romans for their Capital City of Gaul. The Basilica of Notre-Dame de Fourvière is perched on the hill, overlooking Vieux Lyon the UNESCO protected Renaissance area. 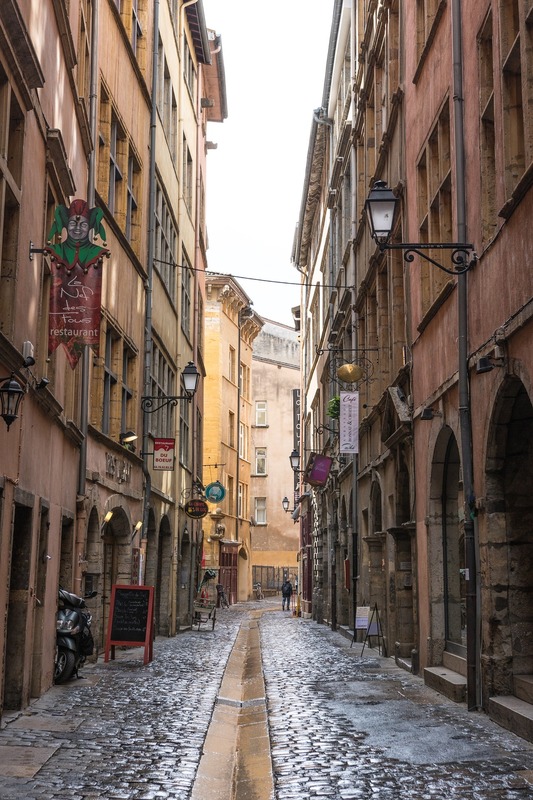 Spend hours wandering around the Vieu Lyon taking in the 15th and 16th Century Palaces of wealthy Italian bankers, discover the Traboules which connect streets via secret passageways, or spend time reflecting in the Cathedral St Jean. There are plenty of restaurants, museums and bars in Vieux Lyon and Fourvière, so it is a great place to stay if you love history, and want to be in the thick of it. Be warned though, this area is on the side of a hill so although you may have tired legs you will have great views. Bellecour and Hôtel de Ville, in the 2nd Arrondissement, are the heart of Lyon. are part of the UNESCO World Heritage Site between the Saône and Rhône Rivers. Place Bellecour is a large public square in the middle of the City, it is the largest pedestrian square in Europe. The Lyon Tourism Information Centre is located in Place Bellecour, so it is definitely worth a visit. The Bellecour and Hôtel de Ville area is home to Lyon’s top museums including the Museum of Fine Arts and Museum of Textiles. The National Opera is located here, along with plenty of high-end shopping and restaurants. If you like to soak in culture and heritage, then Bellecour and Hôtel de Ville is a great area to stay in. La Part-Dieu is Lyon’s business district, located in the 3rd arrondissement. La Part-Dieu has plenty of restaurants, a shopping centre, a railway station and Les Halles de Lyon. As it is the business district it can get quieter outside of business hours, but is it well connected via Metro or a short stroll. This is a modern neighbourhood with plenty of tall buildings nestled amongst traditional buildings including the Part-Dieu Library and the Maurice Ravel auditorium. La Croix-Rousse, in the 4th Arrondissement, is a great place to stay if you are looking to experience the Bohemian side of Lyon. It is perched on a hill, so you may be able to get some great views of the City. The Canuts, or silk weavers, were located here – and many of their traditional buildings remain. The traditional buildings are tall, with many linked by Traboules (passages between buildings and streets). There is a wonderful market where you can get delicious fresh, seasonal produce – along with plenty of boulangerie, Bouchon, bistro and restaurants – so you can eat your way comfortably around La Croix-Rousse. La Croix-Rousse is also the best place to stay in Lyon if you are wanting easy access to the City Centre, without necessarily staying there or paying central city prices. Accommodation in La Croix-Rousse is primarily apartments. Self Catering apartments are a great option if you are on a budget – pick up some delicious fare from the local market and make a few of your own meals! Here are some great places to stay in La Croix-Rousse. Quai-Royale – this two bedroom apartment in an 18th Century building has been renovated and is light, bright and modern with great views. Each of the big bright bedrooms has views of the Rhône, and the apartment comes fully equipped with cooking and washing facilities. Within walking distance of the central city (7 minutes to Museum of Fine Arts), the apartment is located near to restaurants and bars, and close to the Metro station if you don’t fancy walking. This apartment is a great choice for travellers who wish to be close to plenty of entertainment and stay in a modern stylish apartment. ClubLord Cosy and Luxury Studio Croix Rousse – this centrally located renovated studio in Croix-Rousse is perfect for couples, personal or business travel. It is brightly decorated, has plenty of natural light and is located on the first floor of a secure building (no lugging suitcases up loads of stairs!). With plenty of restaurants on your doorstep, there is a lot of choice for eating out. The local market is also downstairs twice a week, so you could pick up some fresh produce and cook in the Studio’s kitchen. The metro station is 5 minutes walk away – to whip you to Lyon’s popular points of interest. Alternatively, you could walk, with the town centre being approximately 20 minutes walk away. This Studio is great for couples and singles who love getting out and about and enjoying local cuisine. Elegant Apartment Place Croix Rousse – this snug Airbnb apartment is located centrally in La Croix-Rousse, surrounded by cafes, restaurants, bakeries and supermarkets. And of course the La Croix-Rousse market too. This apartment would be perfect for two people looking to soak in life in La Croix-Rousse. Airbnb is a great option to try. Sign up here and get a $48/£25 discount off your first booking. If you want to stay in the historic heart of Lyon then Vieux Lyon and Fourvière are the places for you. In the heart of the Renaissance and World Heritage site, Vieux Lyon and Fourvière will provide you with plenty of options to explore the history of Lyon, wander amongst 15th and 16th Century buildings, discover some of Lyon’s fabulous traboules, and eat some delicious food. With so many options for Lyon hotels, Old Town accommodation is a great option. With the Basilica and the Cathedral in the district, there are plenty opportunities to explore these beautiful places of worship. Vieux Lyon and Fourvière are the perfect locations if you are interested in cultural and heritage activities. Villa Florentine – in the heart of Old Lyon, luxurious Villa Florentine has panoramic views of the city. Housed in a former convent the Villa has a one-Michelin-star restaurant attached. The Villa also has a fitness centre and swimming pool (to beat that Summer heat). With beautifully decorated rooms and suites, the Villa Florentine is one of the best hotels in Lyon, France if you are looking for luxury in Vieux Lyon – and still be able to explore the many Lyon attractions on your doorstep. Villa Maia – this top rated Villa is located in Fourvière. This beautiful property has gorgeous big rooms with fabulous views. Built on the site of an old Hospital, this Villa is located within minutes of Saint Jean Cathedrale, Basilica of Notre-Dame de Fourvière and the Fourvière Funicular. With a fitness centre, sauna and swimming pool you will be able to keep on top of your fitness. This is a lovely touch of luxury in Fourvière, perfect if you want to take advantage of the arts, heritage and culture in Vieux Lyon and Fourvière. Le Jardin de Beauvoir – this beautifully renovated 19th Century property is tucked away yet still very close to all there is to see in Vieux Lyon and Fourvière. With large rooms and a beautiful lawn where you can have breakfast, Le Jardin de Beauvoir is a lovely respite from the action of the City. Le Jardin de Beauvoir is perfect for the traveller who wants a quiet place to retreat too after exploring Vieux Lyon and Fourvière. Bellecour and Hôtel de Ville is at the heart of Lyon, located at the north end of Presqu’île – the peninsula stretching from La Croix-Rousse to the confluence of the Saône and Rhône Rivers. With the large Place Bellecour at its centre, Bellecour and Hôtel de Ville is where you want to stay if you want to be close to museums and shopping. There are plenty of hotels in Lyon city centre to chose from, although don’t expect too many budget options. Plenty of restaurants, bistro and café nearby to watch the world go by. With a well connected by metro to other key areas in Lyon, there is plenty to do on your doorstep. Collège Hôtel – located in the heart of Lyon, Collège Hôtel is within minutes walk of the top Lyon tourist attractions like the Guignol Theatre, the Museum of Fine Arts and the Lyon Town Hall. Rooms are crisp, clean and modern, this hotle is definitely one of the great boutique hotels in Lyon. With a beautiful sun terrace to enjoy a cocktail or two, the Collège Hôtel is definitely a boutique Lyon hotel worth checking out. With plenty of Bouchon Lyonnais on your doorstep, the Collège Hôtel is one of the best hotels for a perfect place to stay if you want to visit Musuems and do some shopping. Cour Des Loges – this five-star hotel, one of the lovely Lyon luxury hotels, located in four Renaissance townhouses will satisfy all your senses. Regularly named as one of the top hotels Lyon, ith 60 rooms and suites, an in house Spa and hanging gardens it may be difficult to leave the hotel and go exploring. With the L’Ane Rouge Performing Arts Centre and the Musée Miniature et Cinéma on your doorstep, and many more Lyon attractions within a moments walk, this Hotel is ideally located. If you feel like stepping back in time luxuriously then this hotel is the best place to stay in Lyon. Hotel Le Royal Lyon MGallery by Sofitel – as with all MGallery by Sofitel Hotels, the Hotel Le Royal Lyon is a unique experience. Designed to fit into the local history and location, this hotel will have you at the heart of Place Bellecour. The rooms, while not huge but bigger than the average French hotel room, are all beautifully appointed. All rooms come with flat screen tv, coffee machine and toiletries. With the Institut Paul Bocuse Restaurant in the Hotel, you will be sure to have beautiful French cuisine. If you want to be surrounded by French elegance and close to Museums and Galleries, this is the hotel for you. Located in the 3rd arrondissement, La Part-Dieu is Lyon’s central business district. This is a great area to stay if you want to access Les Halles de Lyon, the Part-Dieu Library and the Part-Dieu Shopping Centre. The TGV station is also in La Part-Dieu. Félix Dort – this property is rated for the best value in Lyon. If you are looking for a great value option in La Part-Dieu then this Lyon B&B, Félix Dort is a good option. Brightly designed rooms (all with private bathrooms), sun deck and terrace, shared kitchen facilities and lounge area make this the perfect place to stay if you are keen to meet other travellers and enjoy life in Lyon. Rooms come with breakfast included, which is substantial and tasty. Citadines Part-Dieu Lyon – this Lyon top pick is fully renovated and has a mix of studios and One Bedroom Apartments. Rooms are spacious, clean and tidy. Located close to shops and public transport, the Citadines Part-Dieu is a good option for budget-conscious travellers. Very close to the local Food Hall, Les Halles, means you can pick up plenty of delicious treats to have at your apartment. There is a children’s playground in front of the hotel, great if you are travelling with little ones. The Citadines Part-Dieu is a great budget hotel for families and budget conscious travellers. Lyon is a great place to visit, so much to do and beautiful. Hopefully, this post has given you an idea of the best areas to stay in Lyon. Of course, where you stay is entirely up to you! We would love to hear from you if you have any other favourites to stay at in Lyon. If you liked this post please share and pin! Enjoyed reading this article. We are planning our vacation to France in Summer and your article will definitely be useful. Perfect timing. A great read.